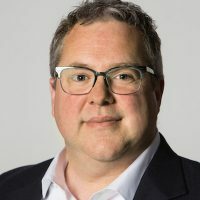 Eric Nuzum is senior vice president for original content development at Audible. Nuzum, Eric. "Podcasting stratifies into hard layers." Nieman Journalism Lab. Nieman Foundation for Journalism at Harvard, 12 Dec. 2016. Web. 22 Apr. 2019. Nuzum, Eric. "Podcasting stratifies into hard layers." Nieman Journalism Lab. Last modified December 12, 2016. Accessed April 22, 2019. https://www.niemanlab.org/2016/12/podcasting-stratifies-into-hard-layers/.